College offers an opportunity to give and receive—your student can not only develop their unique passions and skills, but in doing so enhance the campus community. The holidays are a time of year we think about giving. But what does that mean for your student when they arrive on a college campus? College is where your student will continue to discover what inspires him or her, learn how to work and succeed in a variety of environments, and build relationships with a wide range of people—skills necessary for success in the working world that awaits. But just as your student will benefit from what he or she takes from college, the college community will benefit from the talents your student has to offer. Regardless of your child’s unique skills and interests—and how connected or disparate those may be to his or her academic pathway—there are ways to tap into them in college. “When transitioning from high school to college, some students don’t understand the concept of involvement on campus,” said Kate Piper, coordinator for Student Activities and Involvement in the Dean of Students Office at Illinois State University. “Unlike their high school experience, in college they are the ones who really make the decisions. What opportunities does a college offer to enrich the learning experience? Illinois State features more than 400 registered student organizations to get involved with. It’s a great way to learn, develop leadership skills, and make friends! Your student can use the classroom to dig into a variety of interests unrelated to his or her major. This is a great way to broaden horizons, cultivate lifelong learning, and even earn elective credit. And offerings reach well beyond fine arts. Encourage your student to learn about the variety of courses offered and try something totally new. There are plenty of opportunities to develop outside the classroom—like performing on the stage. 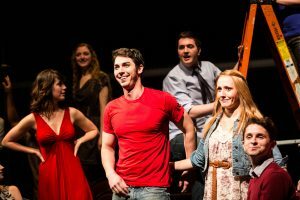 Whether it’s onstage or on the athletic field, many groups on campus allow students to polish their performing skills and relieve some stress! Often students can join music ensembles, choirs, and bands—even the marching band—as non-majors. And just because your student isn’t an elite athlete doesn’t mean he or she can’t continue playing the games he or she loves by participating in sports at the club or intramural level. 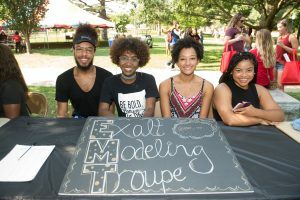 Colleges typically have dozens if not hundreds of student groups that allow participants to hone skills and find a community of like-minded individuals. These run the gamut from service groups to academic and career-oriented organizations to clubs that are just for entertainment. Oftentimes, they are great opportunities to directly impact the University and its community. On the off chance your student doesn’t find an organization that caters to his or her particular interests, it’s often possible to start one from scratch! If there’s a passion, there’s a group of like-minded students. Or the opportunity to create one. A college campus offers a wealth of cultural offerings and events. Your student can find all kinds of enriching and entertaining experiences, be it an art show, a theater or dance performance, or the big football game on Saturdays in the fall. Even as a spectator, all are chances for your student to connect with the campus community while also having some fun. You send your student to college with the expectation he or she will create a foundation for a meaningful career. A lot of that happens inside the classroom, but much of the value of college is also the self-discovery that occurs in other ways. Regardless of whether your student’s interests lean artistic, athletic, or intellectual, college offers chances for your student to find personal fulfillment and build a well-rounded foundation for future success while also enriching the campus community. Learn more about what an education and life at Illinois State has to offer your student, both inside and outside the classroom. Related Article: Something for everyone: How your student can engage specific interests on campus Every student has unique talents and interests, and his or her college experience should foster them. Interested in receiving more insight and articles like this delivered straight to your inbox? Sign up for our parent e-newsletter.